A workshop you can trust. Don’t leave your car servicing and repairs to just anyone. 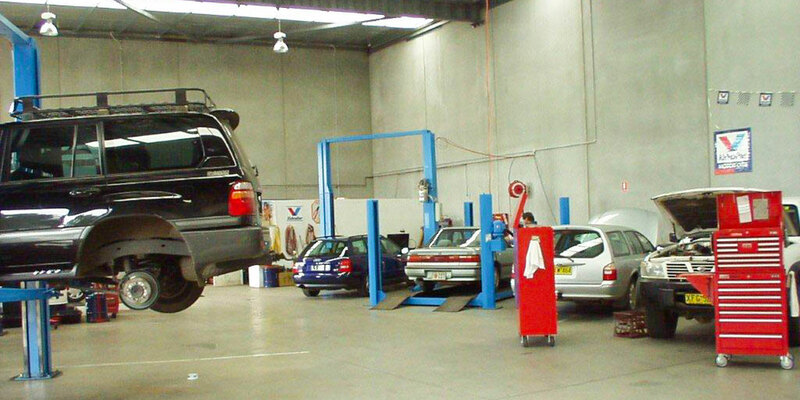 Laurie Stewart Automotive has one of the best equipped workshops in the Southern Highlands with expert technicians experienced in all makes of vehicles. With all overheads covered by our fleet of taxis, we offer service and repairs at a very attractive rate to all customers. At Laurie Stewart Automotive we are highly qualified in brake repairs, suspension, transmissions, diffs, engine rebuilds, engine tuning and car air conditioning and have a well equipped workshop to carry out your mechanical requirements. We are also fully licensed for the service, repair and installation of LPG fuel systems. Our fully equipped workshop and experienced mechanics service and repair all makes of cars and light commercial vehicles. For great value, speedy service and a guarantee on all repairs! We are an Authorised Inspection Station and can therefore provide ‘pink slips’ for the re-registration of most vehicles. We also provide ‘blue slips’ for unregistered vehicles. We also do registration inspections for vehicles with LPG and are an approved RTA Seat Belt and Child Restraint Fitting station. The workshop is registered by the Motor Vehicle Repair Industry Council and the company is a member of the Motor Traders Association of NSW. It is the only NRMA approved repairer in the Southern Highlands. If the NRMA trusts us so can you! We provide low cost repairs and servicing for all makes including German, Japanese and Australian made. Our low cost Lube Special for most passenger cars is only $170.00 and does much more than just an oil and filter change! We also do Low Cost Handbook Servicing for your new car (warranty is not affected) and low cost fleet servicing. We are experienced in most makes of vehicles including European. We offer air conditioning servicing and repairs, brake repairs and we are an approved seat belt and child restraint fitting station. FREE DROP OFF: We provide free taxi transport to and from our workshop, anywhere in the Mittagong or Bowral area, if dropping your car off for servicing or repairs. 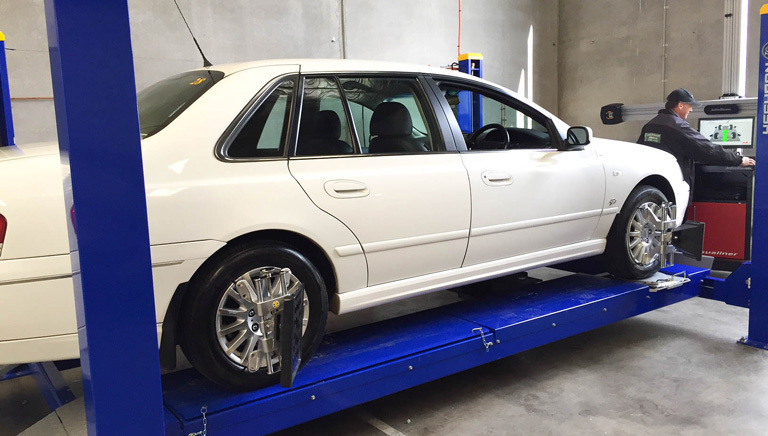 Regular wheel aligments are a necessary part of car maintenance. Our new state-of-the-art wheel alignment system performs precision alignments to gain optimal performance and wear out of your tyres. An alignment precisely measures and positions the wheels to ensure safe and predictable driving control of your car. Correctly aligned wheels provide a smoother and more comfortable ride, as well as extending the life of your tyres.